COLUMBUS, Ohio – The Ohio State University College of Food, Agricultural, and Environmental Sciences (CFAES) welcomes Gary Pierzynski as its new associate dean for research and graduate education. Pierzynski joins CFAES on July 2 from Kansas State University, where he was a university distinguished professor and head of the Department of Agronomy, a comprehensive unit with a $14 million budget and significant roles in teaching, research, and extension. As department head, he more than doubled undergraduate enrollment with 100 percent graduate placement; enhanced graduate student stipends; and created an advisory board for the department. 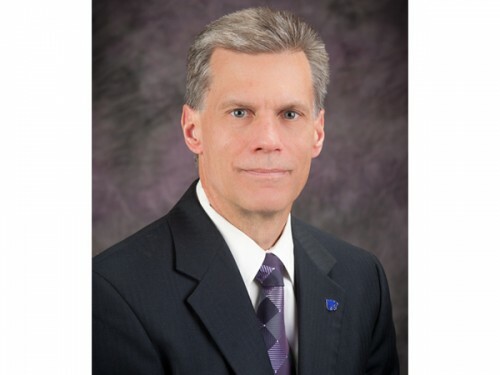 Prior to that, Pierzynski was interim director of Kansas State University Research and Extension and interim dean of its College of Agriculture. He is president-elect of the American Society of Agronomy and previously served as president of the Soil Science Society of America. He serves on the Intergovernmental Technical Panel on Soils with the United Nations Food and Agriculture Organization. He received his Ph.D. in soil chemistry from The Ohio State University in 1989, and his B.S. and M.S. degrees from Michigan State University in 1982 and 1985, respectively.